Boo Fries and a Great Big THANK YOU! I’ve got a special little dish to share with y’all today. It’s not really a recipe, per se. It’s something that I grew up eating, thinking that we were the only people alive who ate it. I’m talking about fresh, hot, crispy french fries topped with brown gravy and cheddar cheese. Now before you get all OMG on me, hear me out. First off, this is not the kind of thing that regularly finds its way to my supper table. We might have this twice a year at our house. It’s a treat and you know what they say… everything in moderation. When I was a kid, we had to make use of everything we had when it came to food. So when there was leftover brown gravy from beef tips or hamburger steaks or something like that, I always knew this dish was in my future. I’m not sure what it is about this dish, but it just takes me back to the time when I was a chubby little kid sitting at my mama’s kitchen table. The assembly is easy, it goes… hot fries, smothered in gravy, topped with cheddar cheese. That’s it, plain and simple. So, the next time you’ve got some leftover gravy, give these a spin. I promise you won’t be disappointed! OH! And did y’all hear the news??? 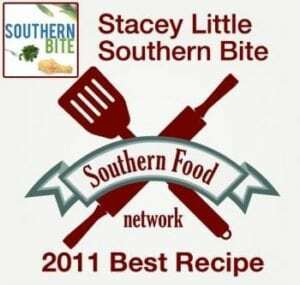 Southern Food Network named my recipe for Slow Cooker Pot Roast and Veggies as the 2011 Best Recipe! We’ve also been recognized as the #2 most popular blogger and #2 in the Reader’s Choice poll! And let me tell you, coming in second to Jackie at Syrup and Biscuits is a good day in my book! 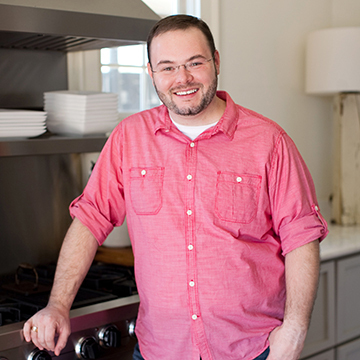 Anyway, I’m just tickled pink at the recognition and want to thank Southern Food Network for all they do! 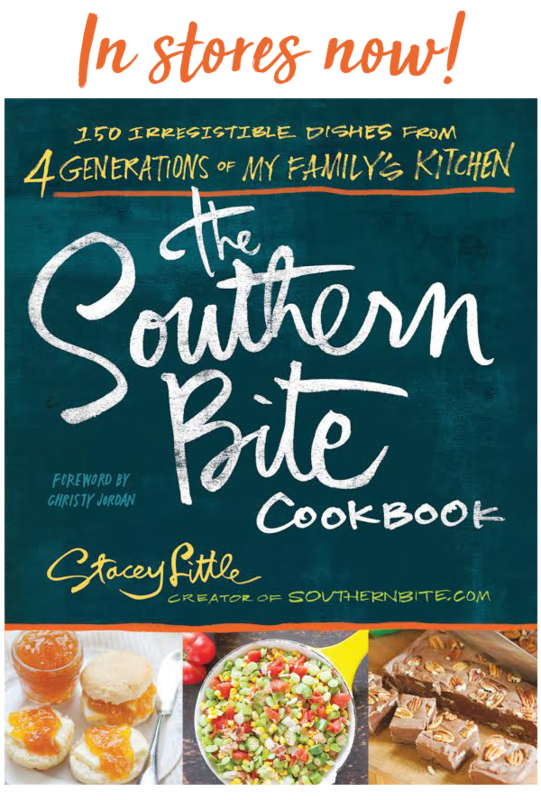 A huge THANK YOU goes out to all of you who follow Southern Bite on the blog and on our Facebook page! You all are making dreams that I never dreamed come true and it sure is an amazing feeling! You each play such an important role in Southern Bite and I just can’t thank you enough! Never heard of these but they sound good! I love brown gravy, I’ve been know to literally drink the leftover gravy after dinner LOL. That sounds gross now that I’ve said it. Maybe I should start saving it for some fries! This is a GREAT way to use that leftover gravy! I do love me some gravy too! My husband is from NOLA and we were just down there over Labor Day weekend 2011 and we ate at Acme Oyster and we ordered Boo Fries. Never heard of the concoction before but we were up for it. They are AWESOME! Woo-hoo! I’m so glad you know what I’m talking about! Love me some NOLA! Congratulations on your selection; it is well deserved. And, thanks for sharing your recipes. The hardest part is deciding what to make next . . . So happy I found your site yesterday … my mother grew up in Louisiana, my daddy was from Alabama and I am a native Floridian so you can imagine what type food I enjoy !! I am excited to try some of your recipes ! Thanks..
I’m so happy you found me too! Welcome! I hope you’ll enjoy what you find over here! We also had these out in california when i was little, my grandma made these when we got to stay all nite. Also in high school we ate at a drive-in across the street from school that served these. I now make them for my grandkids. This recipe started about the 1950’s so it’s traveled along way. Wonderful! They sure are good! I know your grandkids just love them. Not unusual in my part of the country to have gravy on fries or cheese but generally don’t see both. I think I would stick with gravy as that is what I am used too. I do love chili cheese fries and that is a meal on a plate. 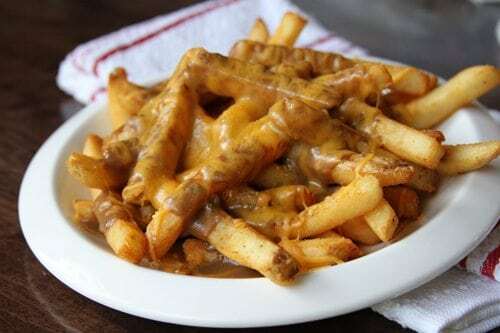 These fries are actually very popular and a lot of the time they use mozzarella and then pour the hot gravy over top. It is very delicious. Give it a try ….you may love it just as much as the cheddar!!! Poutine is one of my favorite once-in-a while treats!! Oh…btw, I love your site!! Thanks! I love to hear that! How awesome these are. Here in southwest GA these are served at our local hot dog joint. They’re especially good with the onions in the gravy. Love them with or without the cheese. Also eat them with chili and cheese. Only way to eat fries. Even make these at home too. Enjoy your site and all the fabulous recipes that are easy and usually have all the ingredients on hand. How about some of those combinations??? Any Mom and Pop restaurant in the cattle country of Florida will ask if you want gravy on those fries. Love it! Just for the record, poutine as we “call it” in Canada has been around long before your “boo fries”. No one knows what those are, yet poutine is famous. Thank you! Sorry the humor was lost on you, Nadia. But I’m glad to see you’re so passionate about food! Being a native Texan, I’d never heard of these til I moved up north. Here in NJ, they’re mostly referred to as “Disco Fries” . I have no idea why…lol. Fries, brown gravy with roast beef bits, and cheddar. Awesome! My husband has been eating fries like this since the 60’s. We are diner food addicts.